Chicago Pneumatic tools are among the most durable power tools available on the market. Designed with their customer’s needs in mind, CP power tools are well-crafted and renowned for their performance and reliability in even the toughest jobs. Businesses in Kansas City, Wichita, Dallas, Fort Worth, and other cities throughout the Midwest that are looking to acquire Chicago Pneumatic power tools should look no further than Wm. F. Hurst Co., LLC. At Wm. F. Hurst, we have in-depth knowledge of all the industrial tools we carry, and our sales representatives have the expertise to make product recommendations for many applications. 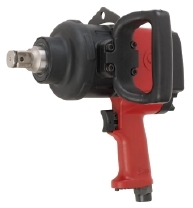 Furthermore, our inventory always remains stocked with the industrial air tools our customers rely on in their day-to-day operations, , so you can always expect us to have the Chicago Pneumatic tools you require readily available when you make us your industrial supply distributor of choice. To receive more information on the Chicago Pneumatic power tools in our inventory and the benefits of working with Wm. F. Hurst, please contact today. We also offer industrial tools from top-rated manufacturers like Dotco, Cleco, Desoutter, and Bosch, as well as a comprehensive selection of abrasives, metalworking fluids, safety equipment, and other industrial supplies to businesses in Kansas City, Wichita, Dallas, Fort Worth, Joplin, Springfield, and other Midwest cities.